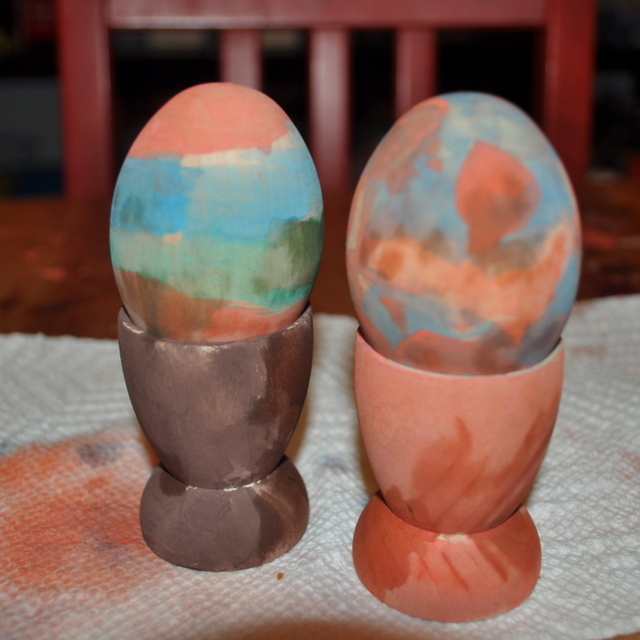 Spring and Easter is a fun time to paint eggs. Not just the edible ones but wooden eggs as well. 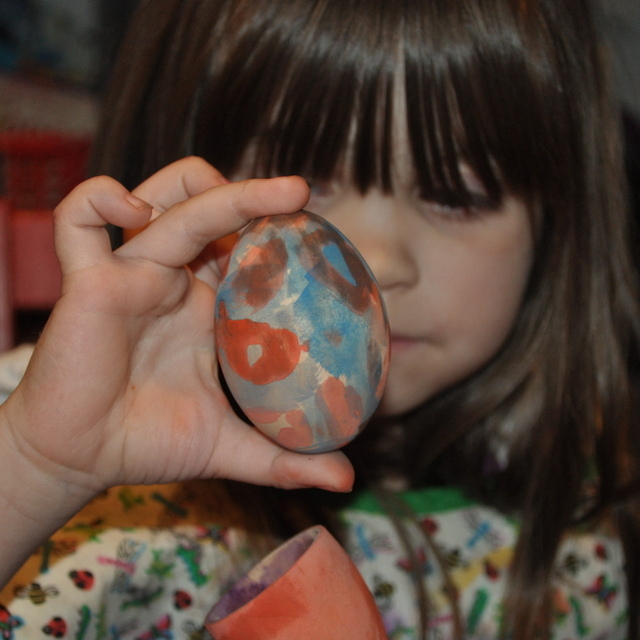 Keeping kids occupied during their spring break can be easy with a few crafts around. 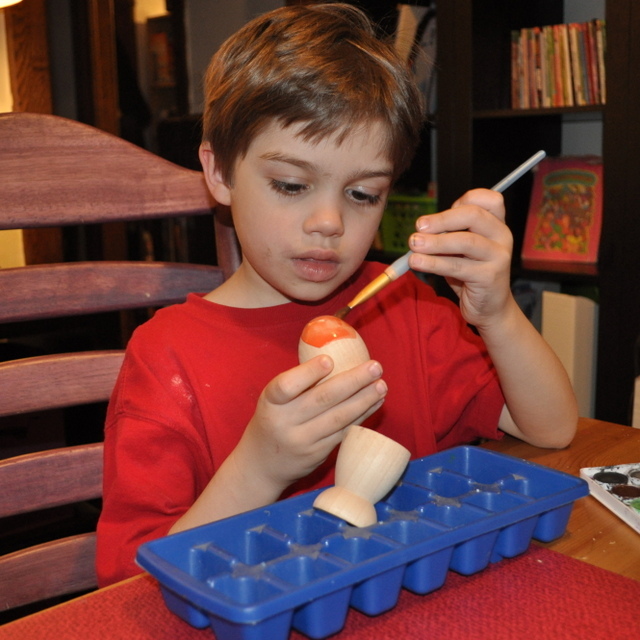 My kids love to paint up these wooden eggs and egg cups. We also like to use the egg cups all year long for our breakfast eggs. Check out this link for how to make the perfect Soft boiled egg. Have a cloth for them to dab their paintbrush on. Teaching them to follow these steps will keep the paint from getting to runny; Rinse, Dab, In the Color, and Paint. Use an ice cube tray to keep wet things off the table and round things from rolling away. Keep a basket under the sink to hold water cups and paintbrushes – this lets the kids clean up and set up by themselves. Certified as AP non-toxic watercolors is also a nice paint for children and will need to have a finish added like a beeswax wood polish, there will always be a chance that the color will come off if it gets wet. Check out this link for how to make homemade watercolors! 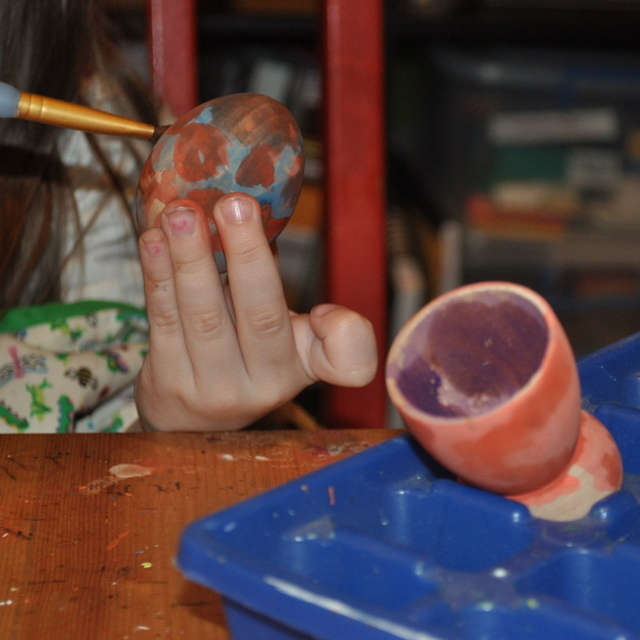 love the idea of getting to *keep* the egg that one has worked so hard on without it being a fragile thing! What a cute idea! Such talented little artists! What an great peace of art is these shown by the kids here. The wooden egg looking such attractive with the wonderful colors in it. How about trying the same with an original egg.